The Power Electronics Society (PELS) of the Institute of Electrical & Electronic Engineers (IEEE) has facilitated and guided the development of power electronics technology for over 30 years. The UK and Ireland (UK&I) Power Electronics Chapter supports the objectives of PELS at a local level, serving the local community, industry and academia. In 2019, the UK&I Chapter launches a Doctoral Thesis Award to recognise significant achievements for PhD students conducting outstanding research in the general area of power electronics. This award recognises PhD students who have written an outstanding doctoral thesis that represents a remarkably impactful contribution to their field of research. The award is open to all relevant PhD students whose PhD was awarded by a UK or Ireland institution, between 1 January 2017 and 31 December 2018. The thesis should be nominated by the main supervisor and a referee from another organisation (preferably the external examiner). Each supervisor can nominate two PhD students maximum during this selection period. Nomination deadline is 31 March. The outcome will be announced by 30 June 2019. Application form from the nominee with a personal statement with fewer than 500 words, which clearly indicates the thesis contribution. A Nomination form from the main supervisor of the nominee. A Reference form from an external referee. Copy of the thesis (PDF). Electronic application packages should be submitted via email to Prof. Jun Liang (email: LiangJ1@cardiff.ac.uk). All nominations must be received before mid-night (UK time) on 31 March 2019. The award will be selected by the Doctoral Thesis Award Review Committee. This committee is chaired by IEEE UK&I Chapter Chair Prof. Jun Liang. The committee consists of experts from both industry and academia who do not have a conflict of interest with any nominee. The committee members can be found on IEEE UK&I Chapter’s website. The award selection will be based on the quality of the thesis only, not on any other contributions made by the nominee beyond the thesis. There will be three prizes in this selection period. The review committee reserves the right not to make any award. Quality of Subject: Significance and relevance to power electronics. Quality of Contribution: Originality, innovation level, outputs and impact. Quality of Research: Technical depth and scientific rigorousness. Quality of Presentation: Clarity and effectiveness of text and illustration. Statements of the referees and the nominee. 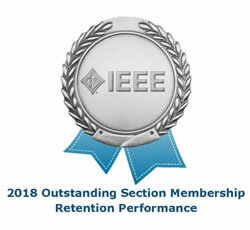 Each award consists of a certificate from the IEEE UK&I Chapter, a voucher for an IEEE conference, and one-year IEEE membership and PELS Society membership fees. The prizes will be awarded to the winners during the IEEE UK&I Chapter Annual Meeting, and announced publicly on the IEEE UK&I Chapter website.